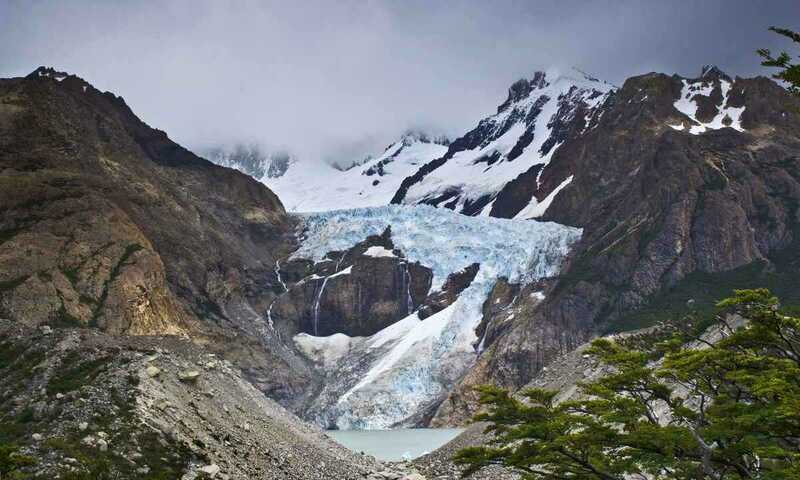 Laguna Piedras Blancas is filled by the meltwater of the beautiful and dramatic glacier of the same name, which descending from the East of Mount Fitz Roy. You can hike to Piedras Blancas from the north along the valley of the Rio Blanco. On its eastern edge (from Hosteria El Pilar), or its western edge (from Piedra del Fraile campsite). In the case of the latter you can actually reach the shore of the laguna.